Timber Harvesting’s September issue spotlights veteran Lake States logger David Koski who depends on efficiency and a top-notch crew to navigate a business maze of rising expenses, stumpage costs and environmental considerations to receive top value for his services. 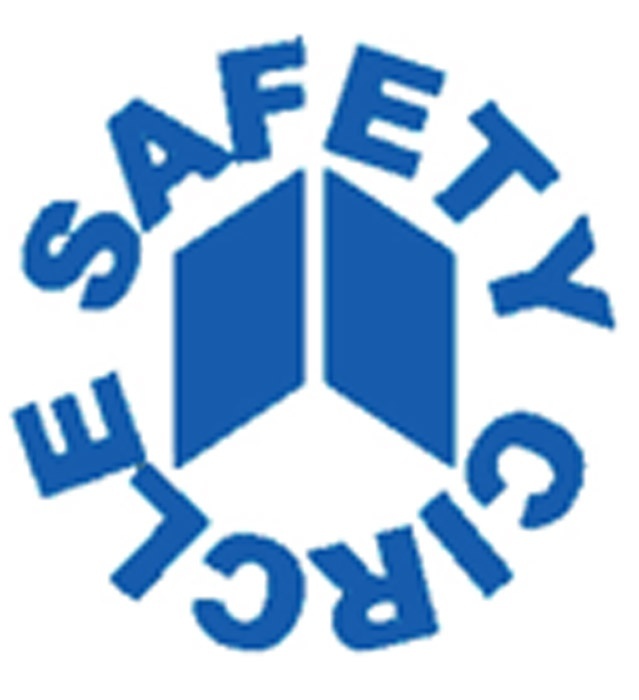 Wood Tick Trail previews ALC 2000, and Safety Circle discusses the attention required to injury prevention. Also, loggers are diversifying to increase growth in their businesses. 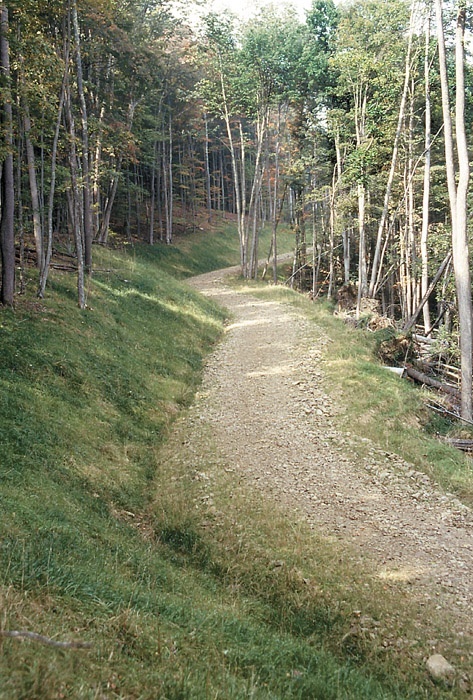 Forest roads are the vital link between the forest and the people who use them. 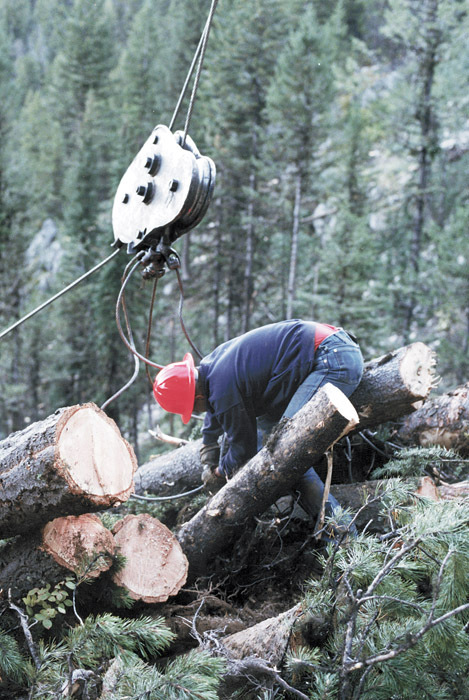 Forest managers need access to harvest timber stands, for site preparation and planting, timber stand improvement, and fire protection. Scientists need access to conduct research, and everybody needs access for recreation. Roads are essential to manage, protect and use our forests. I grew up in the Tobacco Valley of northwestern Montana. For a hundred years members of my family and community have farmed, ranched and logged the valleys, hills and mountains of our area; yet strangely enough, our air, water and scenic beauty are touted as some of the most pristine of the continental United States. As the old saying goes, when life gives you lemons, make lemonade. Loggers across the country have been tasting their share of bitter lemon in recent months. Some have taken the opportunity to make lemonade. Progressive, well-informed loggers have been seeing the current situation coming for some time and have taken steps to prepare. Whether it was in Bangor, Me., or Charleston, SC or Wintergreen, Va., wherever and whenever the American Loggers Council has assembled for its annual meeting, you could be sure of one thing. At about noon on Saturday—the final day of meetings—those crazy people from Arkansas could be heard screaming that annoying “Soo-ey Pig” cheer. Do you ever wish your employees would just pay attention? Ever shake your head at some of their costly mistakes, accidents or injuries? As you undoubtedly know by now, using the well-worn phrase, “You need to pay attention,” is futile. What you need to do is teach them how to pay attention, which ultimately means how to control their attention. 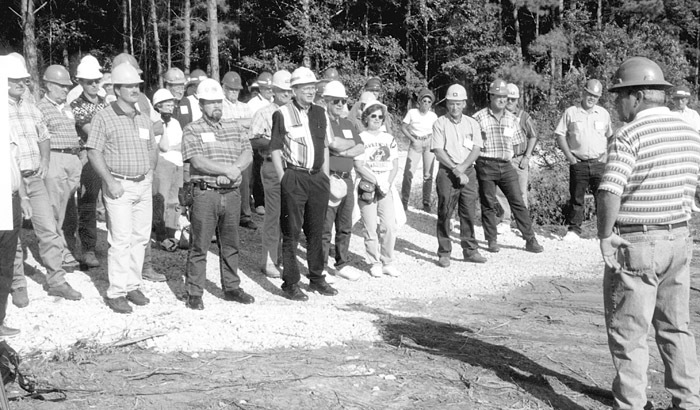 Forest Service Chief Mike Dombeck has suggested that chip mills are a major cause of troubling softwood forest growth-harvest ratios in the Southeast U.S. Speaking to members of the Outdoor Writers’ Assn. 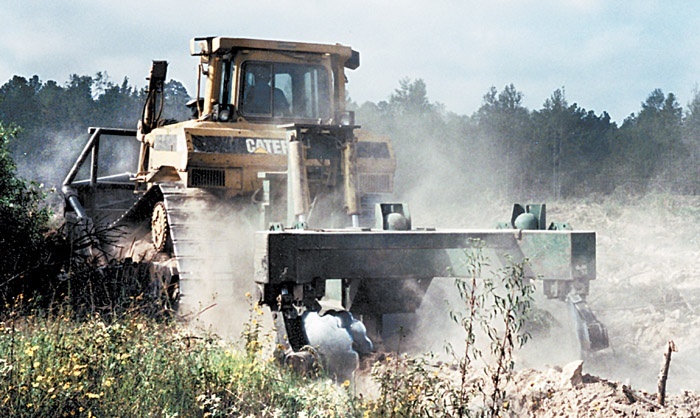 in Greensboro, NC in late June, Dombeck said in some cases forests that in the past were successfully re-grown through selective cutting are today being clear-cut to feed chip mills. 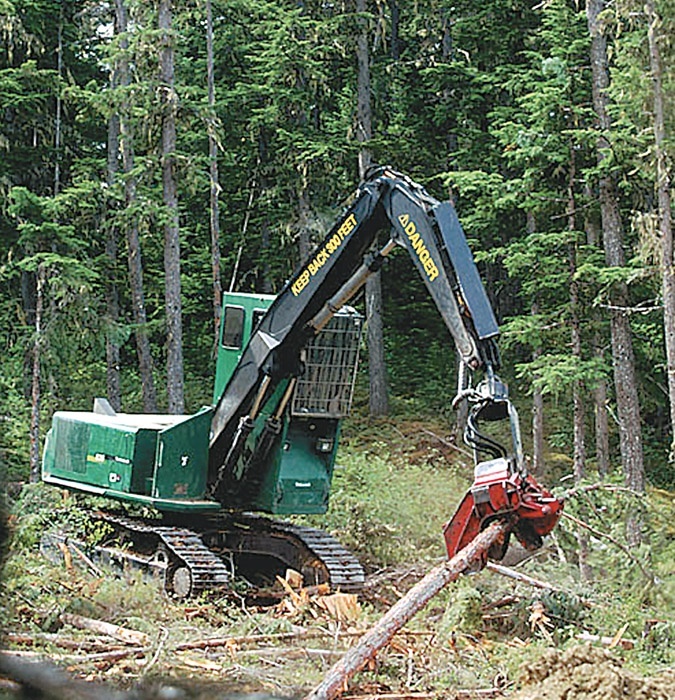 Operating seven logging crews, plus roadbuilding and trucking sides—while providing work for 110 employees—would make the typical logger feel like a one-man juggling act. Yet these chores are all in a day’s work for Ken Fallon of Tillamook, Ore. On top of this, he has a steady eye on the future and is constantly looking for ways to improve his logging methods. 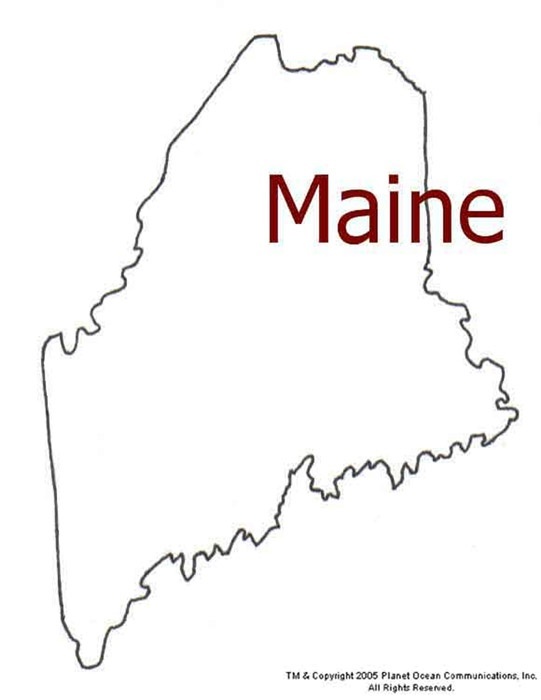 A group calling itself “Concerned Maine Citizens” has claimed responsibility for destroying a small grove of hybrid poplars at an experimental farm in Milo managed by Mead Corp. The reason given was that the targeted trees were “brewed in the cauldron of biotechnology,” although Mead says they were cloned by conventional methods. 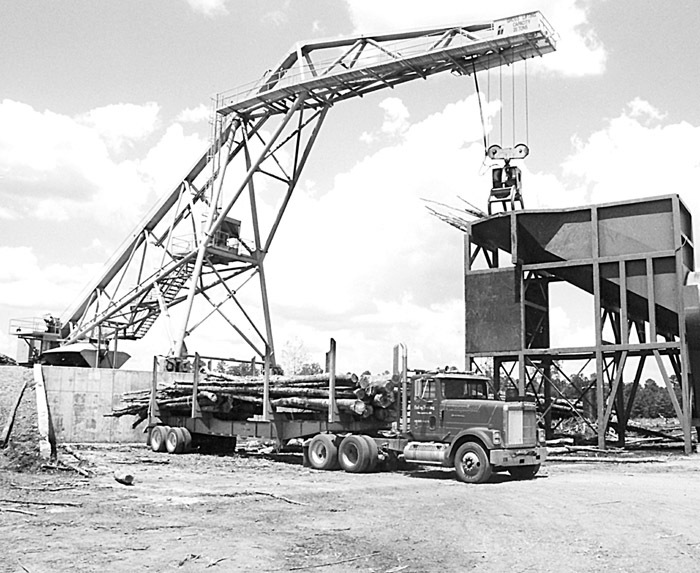 A new book about lumbering in Alabama’s timber heyday has been published by the final generation of those who operated the W.T. Smith Lumber Co. in Chapman. Authored by John Appleyard, The W.T. 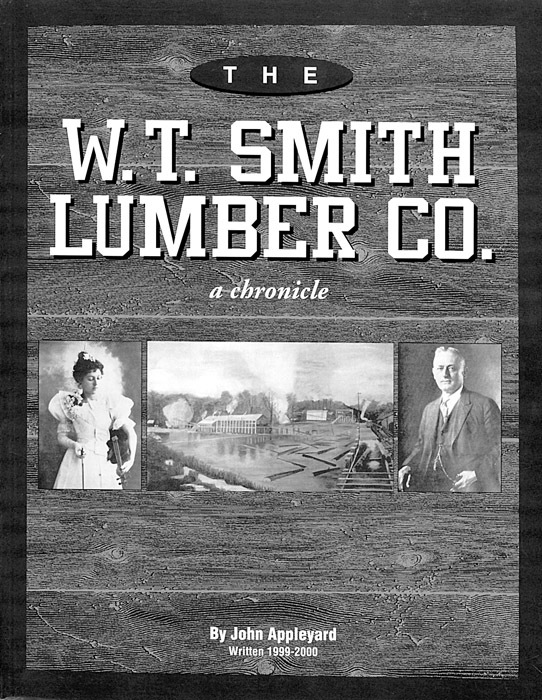 Smith Lumber Company, a chronicle, details the evolution of a company whose roots were established in the 1880s and whose successes ultimately made W.T. Smith the largest lumbering enterprise in the state. I read every issue of Timber Harvesting and I really enjoy some of the articles. With this issue, I read your commentary on the supposed Master Logger program (“Looking For Master Loggers,” Timberlines, July-August issue), and I started thinking about what was wrong with this picture. The problem I see is that you focus too much on the point of view of large landowners and their contractors. Timberjack introduces the 835 Shovel Loader, designed to work as harvester or loader in tough terrain with long reach, high lift capacity and high ground clearance. Already uses as a harvester with a Waratah HTH 24 head, the 835 also works well for medium sized clear felling and processing. 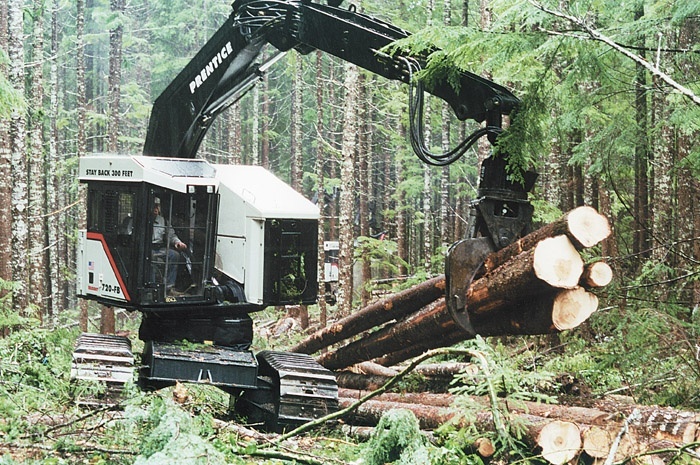 Already in use as a harvester — with a Waratah HTH 24 harvesting head — the 835 Shovel Loader works well for medium-sized clear felling, and the processing of large, heavy timber on the landing.